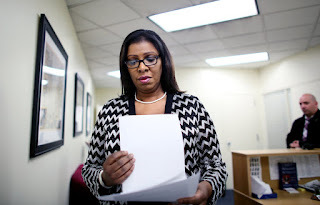 New York City Public Advocate Letitia James contends in a lawsuit that the city's Department of Education fails to track the needs of students with disabilities, which has resulted in a severe lack of services for these children and a major loss in Medicaid revenue for the city. The lawsuit seeks a judicial inquiry that will compel the school system to disclose a plan to remedy the deficiencies in the schools' Special Education Student Information System (SESIS). The public advocate's office says SESIS was developed in 2009 and has cost the city $130 million. The intent of SESIS is to produce and track data about the Individual Education Programs (IEP) of students with disabilities and ensure compliance with federal and state reporting requirements. James contends that research and analysis conducted by her office shows that SESIS has not accomplished what it was intended to do. James says the failure to collect proper data has led to a lack of services for children with disabilities and has deprived New York City of at hundreds of millions of dollars in Medicaid revenue. 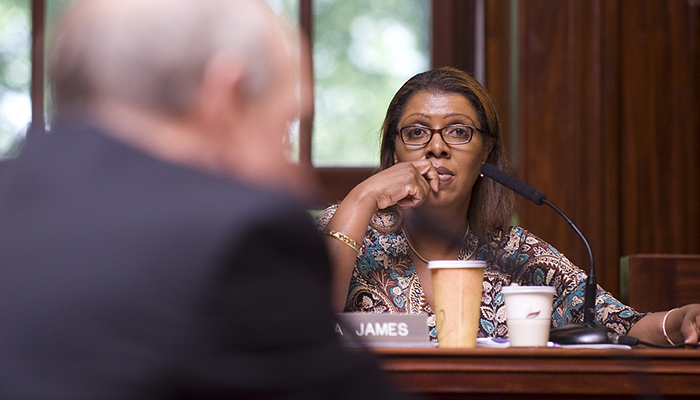 Public Advocate Letitia James has sued the New York CityEducation Department, saying a $130 million computer system meant to track services for students with disabilities was a failure. Because of the system’s shortcomings, the lawsuit said, children have been deprived of necessary assistance and the city has lost out on hundreds of millions of dollars in Medicaidreimbursements. There are more than 200,000 students in the city’s public schools with individualized education plans, known as I.E.P.s, which entitle them to special education services like speech therapy. The computer system, called the Special Education Student Information System, was developed in 2009 as a way to keep track of them, a replacement for a system that relied on paper. The system was intended to track the services students were eligible to receive and to create records that could be used to get the city reimbursed. But Ms. James, a Democrat, said it had been plagued with difficulties since its inception. According to papers filed in State Supreme Court in Manhattan on Monday, the system is prone to malfunctions, including deleting saved student data. It also “does not appear to be capable of producing citywide data about I.E.P.s, including how many children are receiving” special education services. In 2014, the city comptroller, Scott M. Stringer, a Democrat,found the city had failed to recoup $356 million in federal Medicaid reimbursements for special education services for the 2012, 2013 and 2014 fiscal years. A spokesman for the Education Department pointed to several steps the agency had taken to help its special education students, including hiring more than 300 new occupational therapists and opening more programs tailored to children with autism. But the city is facing other criticism over the way it handles the needs of students with disabilities. In December, Preet Bharara, the United States attorney for the Southern District of New York, sent a letter to the Education Department saying that 83 percent of the city’s elementary schools were not “fully accessible” to people with disabilities, a violation of the Americans With Disabilities Act.